With a focus squarely on the Midwest, Wendy Bilen pieces together the history of her grandmother, Josie Broadhead, born in 1911 and raised on the North Dakota prairie. Josie married a Wisconsin farmer and moved to a large dairy farm outside La Crosse; along the way she began taking in people in need of a home: ." . . beggars and drunks and children of drunks, mentally ill children and children with mentally ill parents. Brothers and cousins and sisters and in-laws and strangers." By taking on these challenges that no one else wanted, Josie left an almost mythical legacy. Years after Josie's death, Bilen embarks on a journey to unearth Josie's story and quickly realizes that the search is about her, too. As she discovers her grandmother's complicated nature ("a woman proud and humble, loving and unaffectionate, strict and visionary, joyful and troubled, a woman held together by contradictions like an arch and its capstone"), she learns much about herself and her own choices. And as she breathes life into Josie and her family, friends, and neighbors, the author evokes a powerful sense of place of small towns and farms, of prairie, of Josie's home, all of which feel both fresh and satisfyingly familiar. Much more than mere memoir or family history, this dual story about Bilen's journey illuminates the surprising ways our lives intersect with our ancestors'. 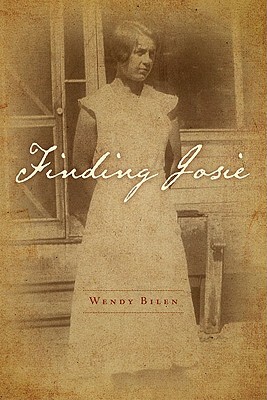 An extraordinary story about a seemingly ordinary woman, "Finding Josie" will inspire readers to explore their own family history in their own way.